The Ringling Brothers and Barnum & Bailey Circuses—the Red and Blue units—give their final performances in May. Here’s a look at the unprecedented musical legacy of The Greatest Show on Earth. Every year for 146 years, The Ringling Bros. and Barnum & Bailey (RBBB) Circus has inspired audiences throughout North America with one-of-a-kind spectacles accompanied by professional musicians performing bespoke circus music. Though there have been many traveling circuses over the years, RBBB is known simply as the Circus—with a capital C.
For every season since its debut in 1871, each act of The Greatest Show on Earth has soared to the waltzes, gallops, marches, drumrolls, and fanfares performed by tireless professional circus musicians. 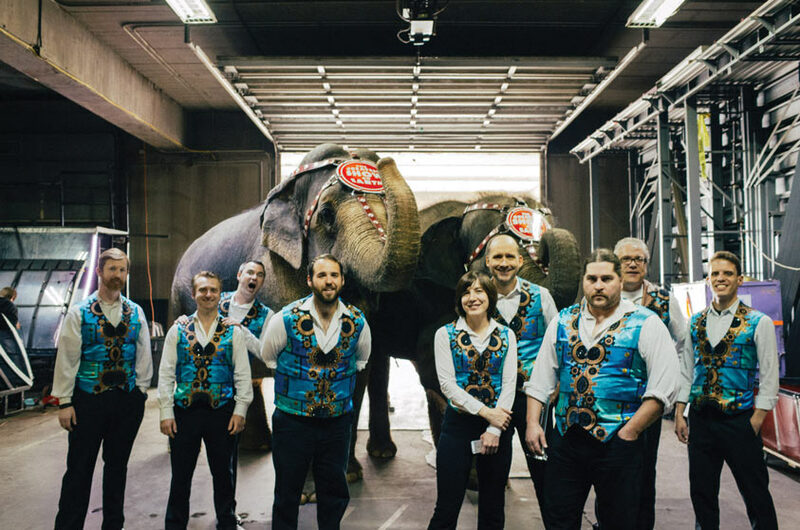 While the United States Marine Corps Band and The New York Philharmonic precede it on the cultural landscape, the circus is the oldest enduring touring entertainment in US history. It arrived five years before the debut of Alexander Graham Bell’s telephone and Richard Wagner’s opera cycle, The Ring of the Nibelung, and only six years after the end of the Civil War. The train car has always been home to circus employees, and the railway their Main Street. Before the circus began playing arenas in the 1950s, workers set up temporary tent cities next to the big top. Performers—and animals—from around the globe lived and worked together in a mobile melting pot that foreshadowed the multicultural patchwork that came to define the American experience in the 20th century. Before radio, film, and television, the circus brought its singular spectacle to smaller cities and rural towns, whose residents had no access to the theatres, opera houses, and music halls of large cities. In building audiences in these smaller markets, the circus tilled the soil for future touring entertainment—from vaudeville to Broadway musicals—and even today’s sports and concert spectacles. Through every season, live music has been the engine of the circus. Its musicians are known as “windjammers,” a reference to “jamming” wind through their brass and woodwind instruments, sometimes for seven or more hours a day. In the early days the 30-plus musicians of the circus would divide so that half the musicians could play the traditional parade through town, while the other half gave a staged band concert—all before the show began. The circus provided access to jobs for musicians who were often outside the conservatory training programs. It spawned a large body of repertoire, which has become standard literature for concert, marching, and military bands. Like the well-known marches of Karl King and Henry Fillmore, much of this music was written by circus musicians themselves. Long-term steady employment has always been a draw of circus work. Its most famous bandleader, Merle Evans, raised his baton for 50 consecutive seasons from 1919 to 1969. 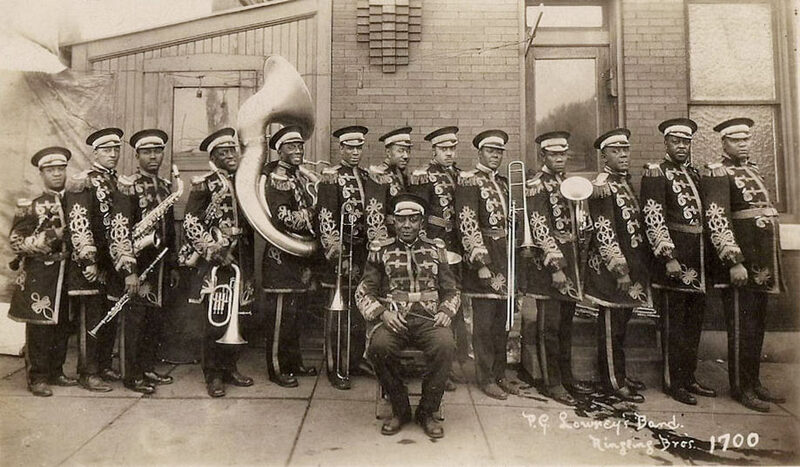 In the first decade of the 20th Century, Ringling and other circuses of the day were early employers of African American musicians, though they were barred from the main tent and relegated to perform as “sideshow bands” due to the racial segregation of that era. The most renowned sideshow bandleader—composer and virtuoso cornetist Perry George (“P.G.”) Lowery—was justly famous for both his brilliant playing and his compositions, through his nearly 50-year circus career. Circus bands were not fully integrated until after the civil rights movement. Over the years, the model for musical employment changed. In the 1950s, the circus retired the big top and began playing arenas. They toured with a small core of musicians, filling out the rest of the ensemble with local musicians in each venue. In this way, the circus provided a wealth of local musician employment over the next 30 to 40 years. 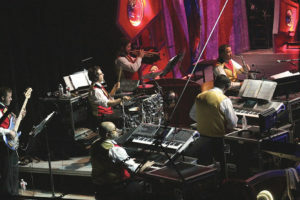 In the late 1990s the circus phased out local musician hiring, and returned to traveling all of the musicians—bands of nine players on each unit—in 1998. The AFM has covered the employment of circus musicians going back at least to the early 1940s. This continues today through an agreement between current circus owner, Feld Entertainment, Inc., and the AFM. One challenge faced by circus musicians is familiar to those in other sectors of live music—the preservation of jobs and maintaining large-size bands. 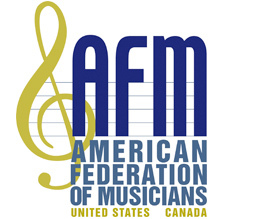 The AFM has maintained the current traveling complement of nine musicians per unit for nearly 20 years, from 1998 through the RBBB Circus closure in 2017. From 2004 to 2015, six additional circus musicians were employed on the Ringling “Gold” Unit, which was designed to play smaller towns outside the range of the railways that defined the “Red” and “Blue” Unit circuits. Since the employer was not providing train transportation, the “Gold” Unit contract contained a unique provision that allowed musicians to travel and live in recreational vehicles. 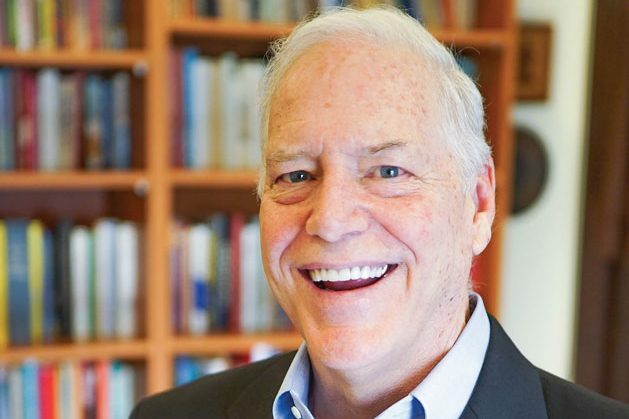 This “RV clause” required zero-interest loans, the payment of a per-diem to offset vehicle costs, and an employer buy-back provision to protect musicians from incurring huge debt if their employment was severed. This was one of many “only on the circus” labor issues; problems with the train car, temperature, animal dander, or transportation from the train to the venue often trumped wages as priority negotiation items. While the current Ringling Bros. Barnum & Bailey Circuses take their final bows, circus entertainment is far from dead. 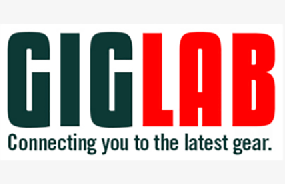 New York’s Big Apple Circus is currently striving to make a return, and Cirque du Soleil has a successful roster of updated traditional European circus shows. And it is not impossible to imagine the Ringling Circus resurrected in some smaller form in the future. What has always differentiated The Greatest Show on Earth is the sheer enormity of its scale—no future entertainment is likely to travel a company of 200-plus workers all over the continent on a mile-long train, for more than 40 weeks a year. Nor is any future production likely to generate hundreds of scores of musical repertoire, or provide a century of continuous musical employment. The circus as an art form will live on, even as it also moves on and evolves. Still, it will never quite be the Circus. “It all started when the clowns gave him a mohawk,” the email began. “The circus was in Dallas at the United Center. We had a general manager (GM) who thought he could do whatever he wanted, and walk all over us. One of the musicians did get a mohawk haircut from one of the clowns, and the GM wanted to discipline him and pull him off the show because of his appearance. I told the GM he could do that, but he would still have to pay him because we didn’t have an appearance clause in our contract. The GM took issue with that, which really made the rest of the band mad. 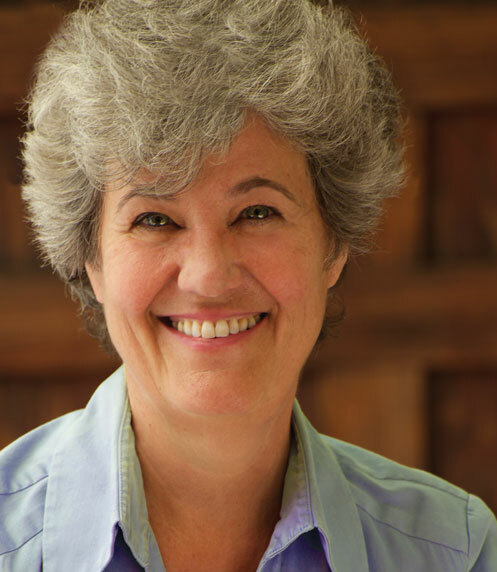 Thanks to Mike Montgomery (Windjammers Unlimited, Inc.), Mark Heter, Paul Celentano, and The Ringling Circus Museum for their research assistance in the preparation of these stories.